Hello Everyone! I hope you have had a good week. We are making the most of the last few days of my hiatus. 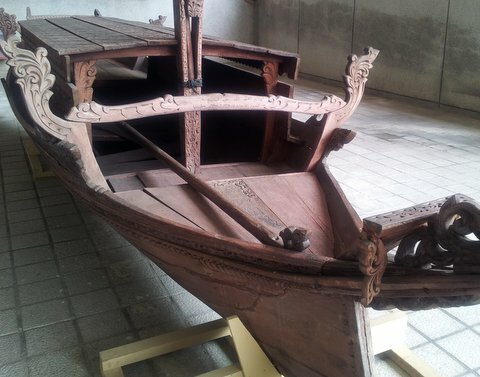 We saw this hand-carved boat a few days ago. 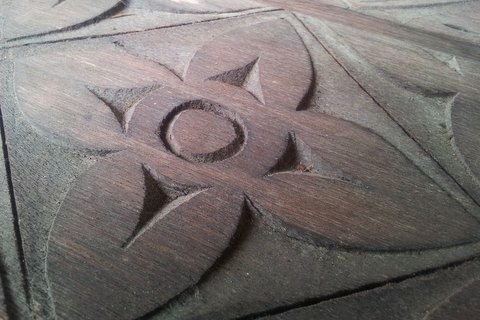 The craftsmanship is incredible. 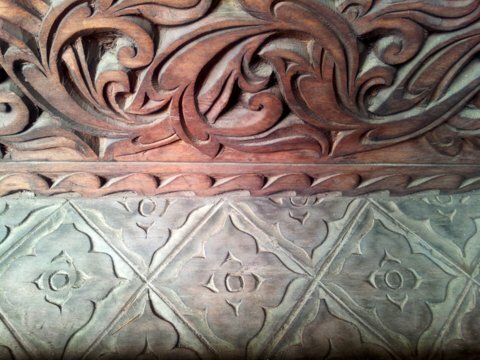 The roof of the boat has different carved motifs that would make great quilting motifs. I will post pictures when I do get to try the motifs out on my sewing machine. Stay tune for more pictures and the schematic diagrams you can use on your quilting project. This entry was posted in Quilting, Thread Talk and tagged Free-motion quilting, Inspiration, Quilting motifs. Bookmark the permalink. ← Vanity – shopping for bracelets! LOVE THAT BOAT!!!!! Just amazing! Wow — is that a full-size boat, or a model? It’s beautiful! I hope you have had a wonderful haitus. You certainly deserve a good break. beautiful handcrafted boat that certainly has exceptional workmanships and also inspires free-motion quilting designs.